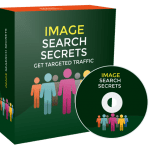 In this PLR Content Pack You’ll get 10 Top Quality Online Scams PLR Articles and Tweets with Private Label Rights to help you dominate the Online Scams market which is a highly profitable and in-demand niche. 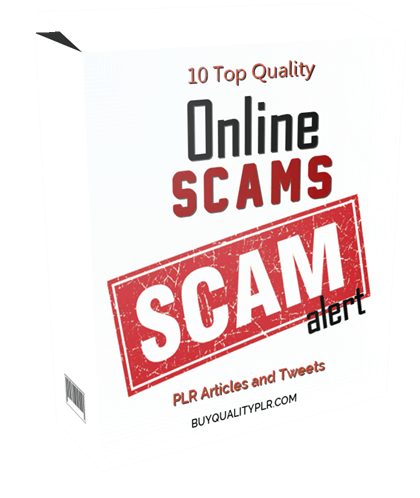 These Online Scams PLR articles are available in Text file format and can be downloaded instantly after purchase. 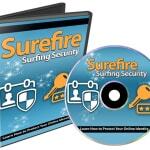 What Can You Do This Online Scams PLR? Everyone loves to get bargains and enjoys life being as convenient as possible. Online shopping can offer both. However, it can also be a double-edged sword due to the number of online shopping scams that have sprung up. Here are several to keep an eye on. Many name brands’ sites are being copied in order to trick shoppers into buying from them instead of getting the real deal from the genuine site. At best, you might end up with knockoffs from China. At worst, you might have your identity stolen. Knockoffs cost companies almost one trillion dollars a year, so check out the sites you shop at carefully to make sure they are real. Sites that offer huge discounts all the time are suspect because brand-name goods should sell for more and these supposed bargains are more than likely either knockoffs, or lures to spend money but no goods will ever be delivered. Go to Google Shopping to compare prices and then shop around until you find the right item. Avoid the bargain basement — you get what you pay for. If you see spelling and grammar errors and the whole site looks like it has been thrown together, this is not a site you should be shopping at. Sites with https:// in front of them have an SSL certificate, which is a higher level of security than a regular website. 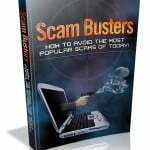 Most scam sites will not bother to get certified. 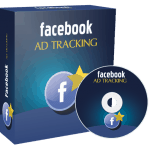 In terms of URLs, the brand name and .com extension are preferred and usually a sign of a legitimate site. However, many new extensions have become available, meaning scammers can use the brand names for a time until they are eventually caught. Extensions such as .net, .us, .info and more are all used to create sites that look like the real ones, but aren’t. Search for the URL at https://www.networksolutions.com/whois/index.jsp and check the creation date. If it is recent, chances are the site has been started for the express purpose of scamming unsuspecting shoppers. 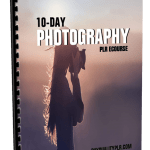 We will only be selling 50 copies on this Online Scams PLR content pack, so don’t waste any time and grab your PLR license while it’s still available for sale.